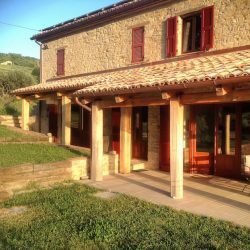 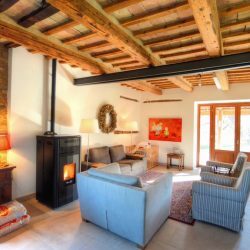 Within walking distance of charming Cupramontana, beautiful restored farmhouse with independent apartment, infinity pool and stunning views. 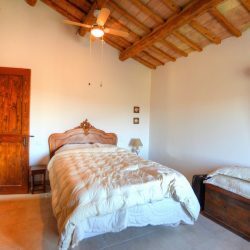 Cupramontana Villa. 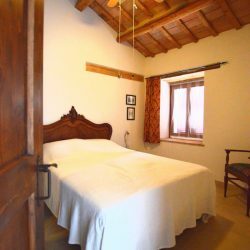 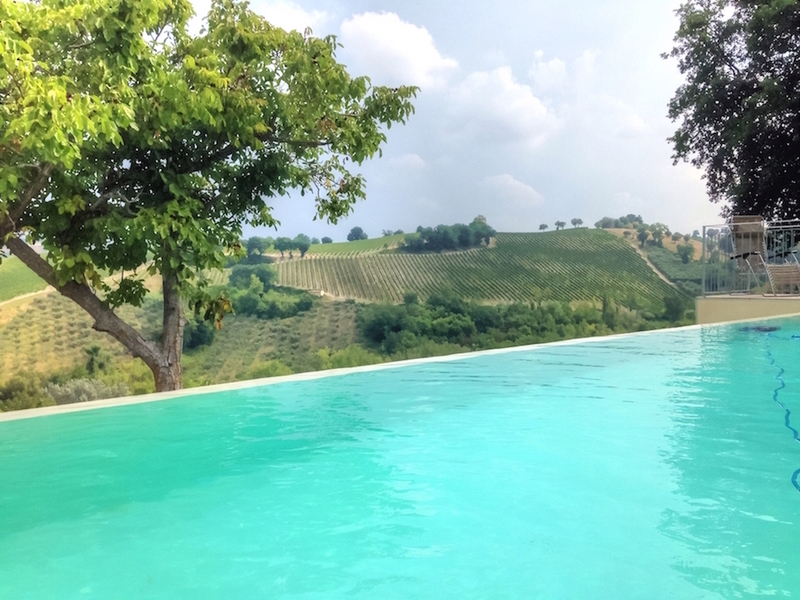 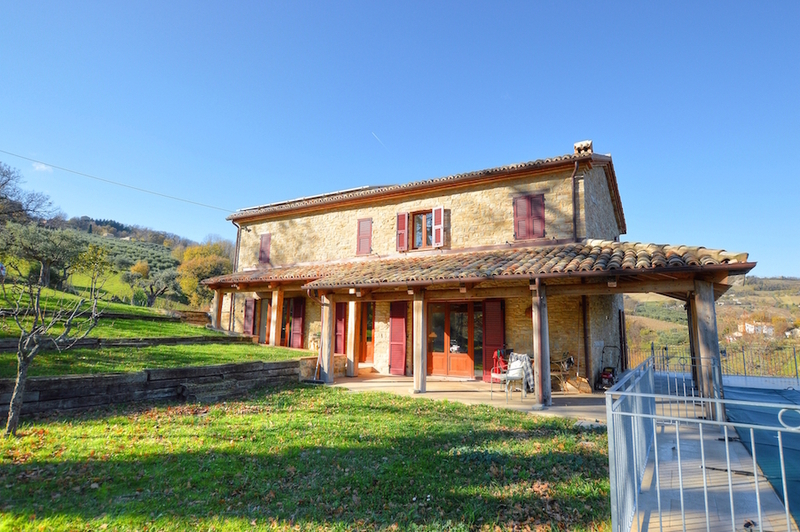 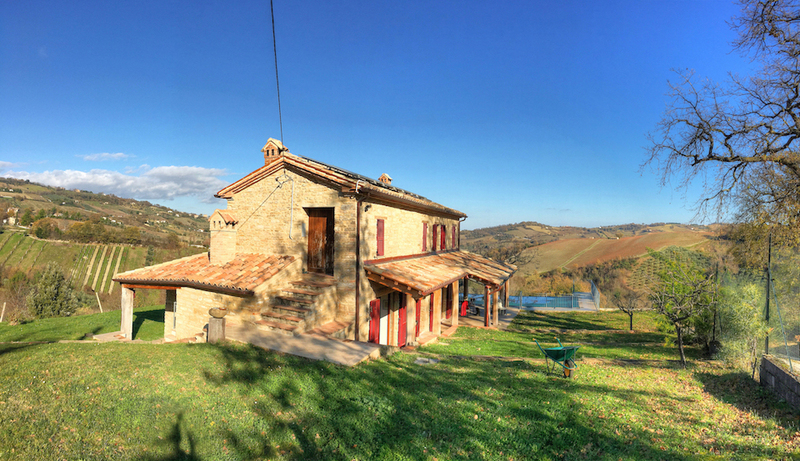 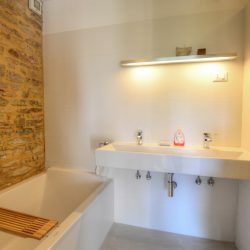 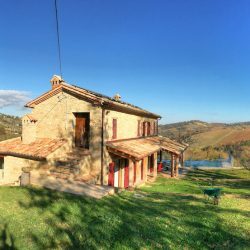 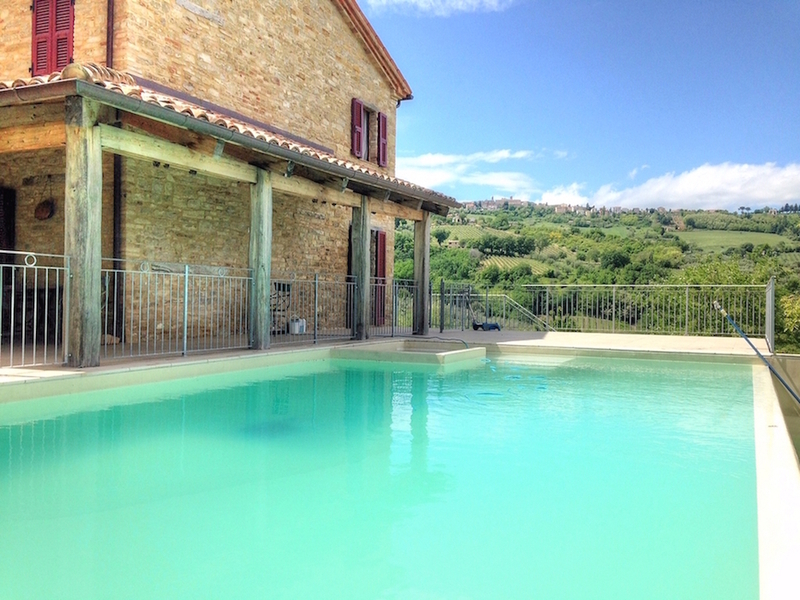 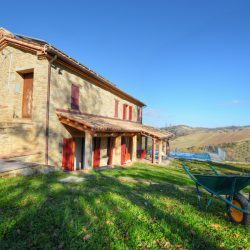 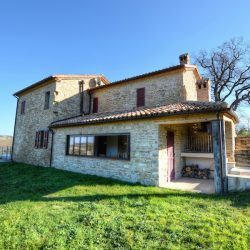 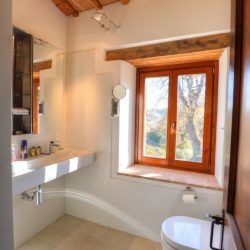 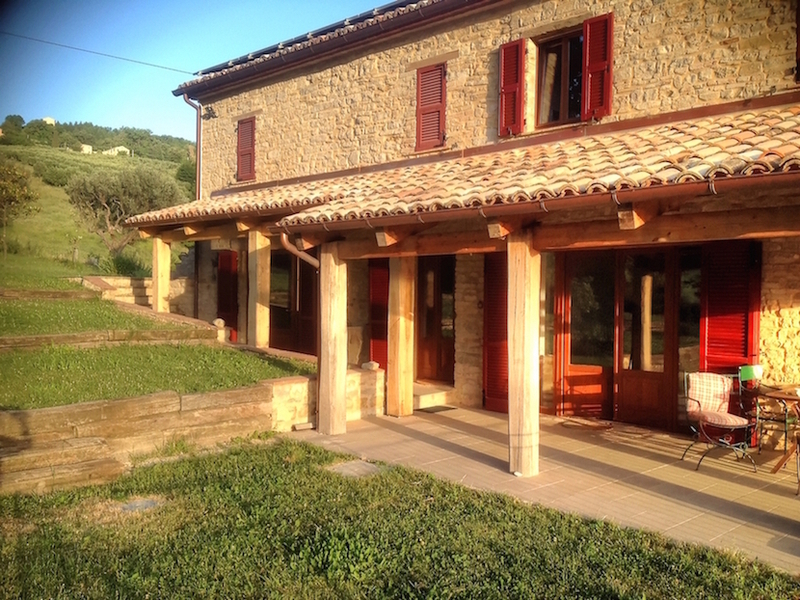 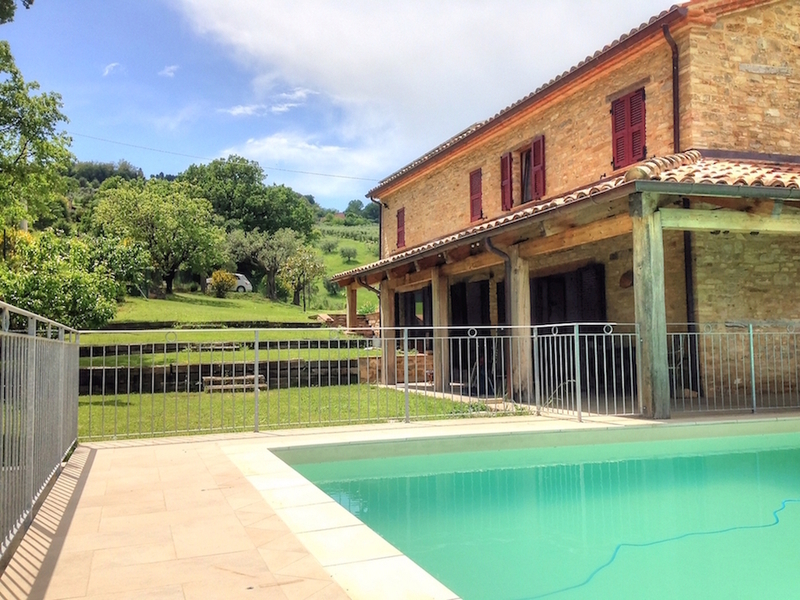 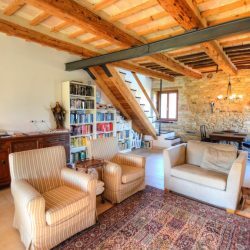 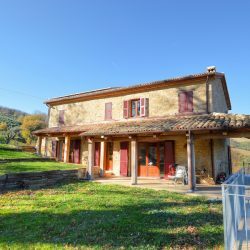 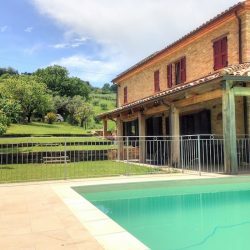 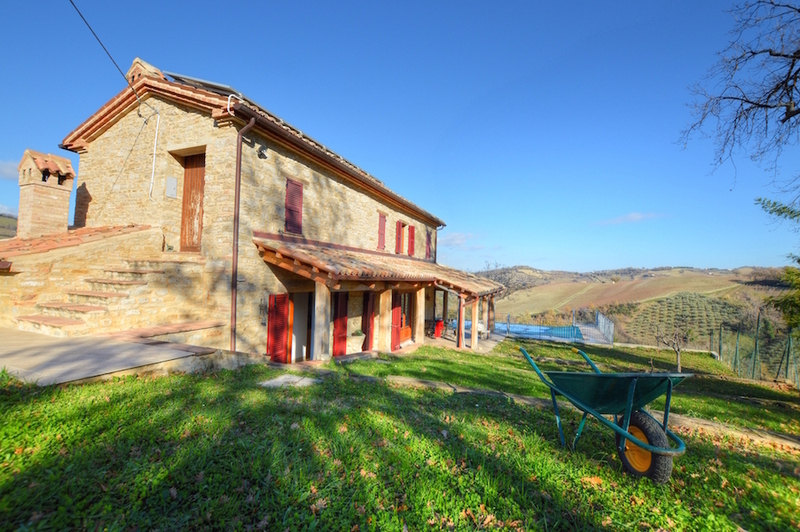 In a private location, conveniently close to the lovely medieval town of Cupramontana where you can enjoy a real Italian lifestyle, this beautiful villa is surrounded by stunning scenery. 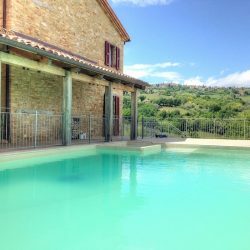 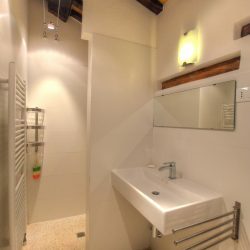 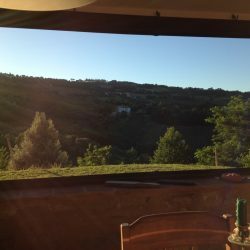 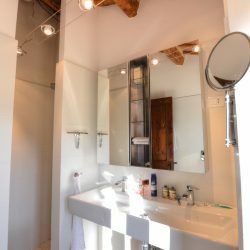 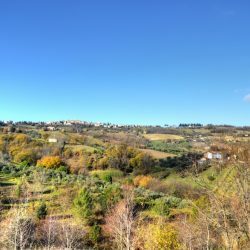 Cupramontana has all the services you would expect, including schools and can be easily reached from the airport of Ancona-Falconara, half an hour away. 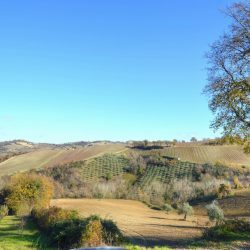 Centrally located within Le Marche, many other attractions are also within easy reach. 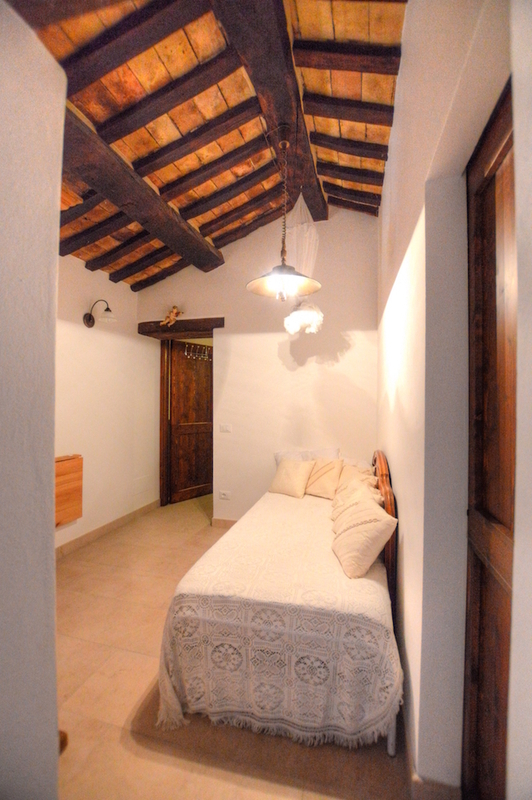 The sea, mountains and other charming medieval towns are within a 30 minute drive. 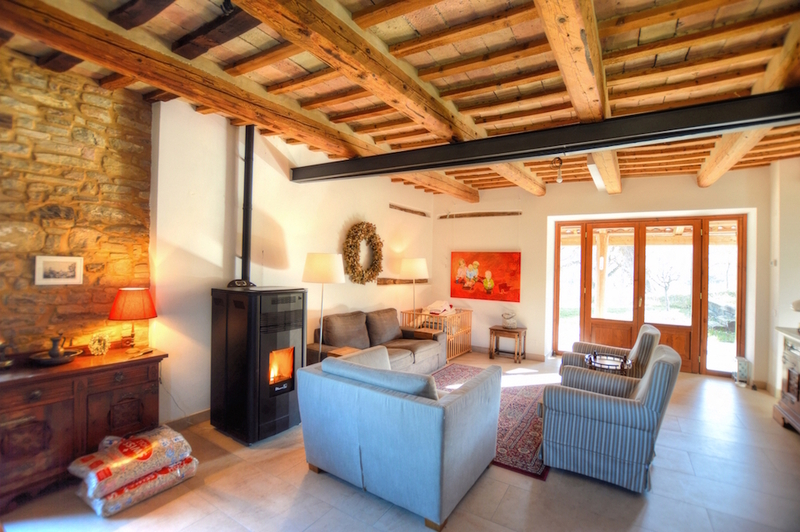 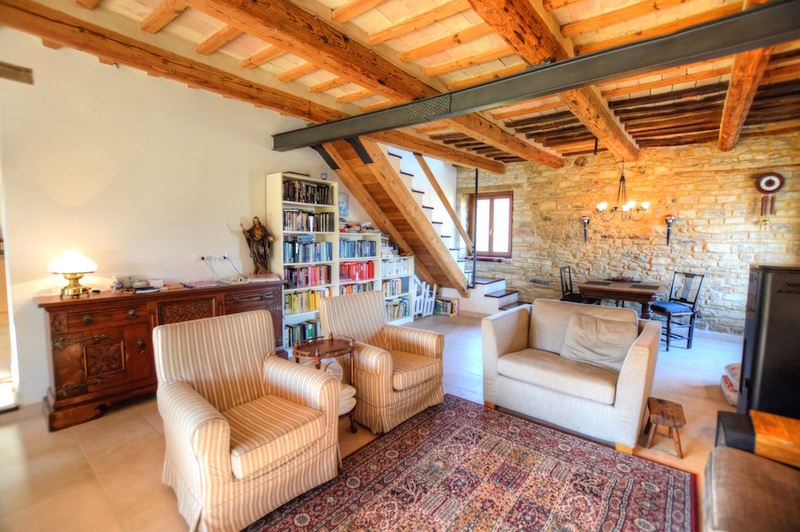 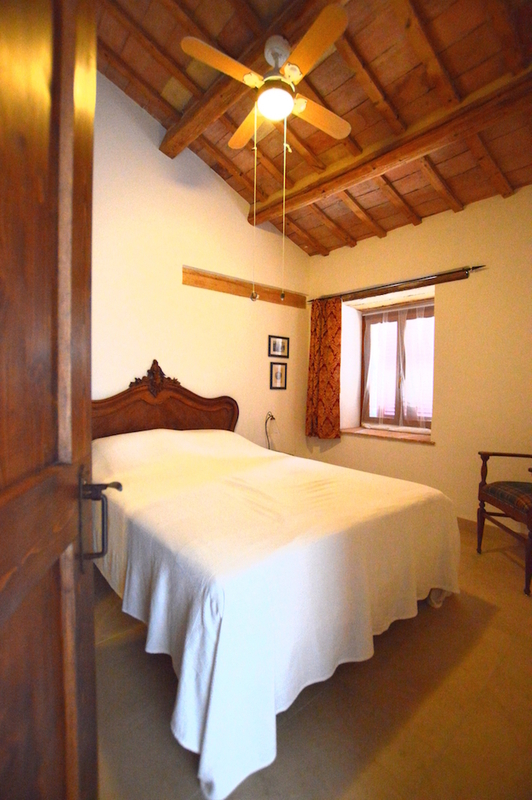 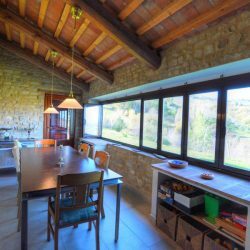 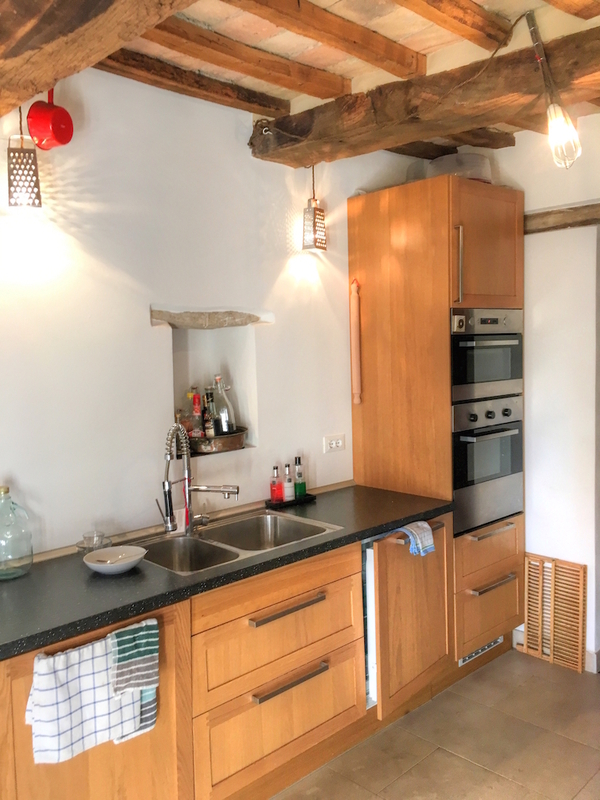 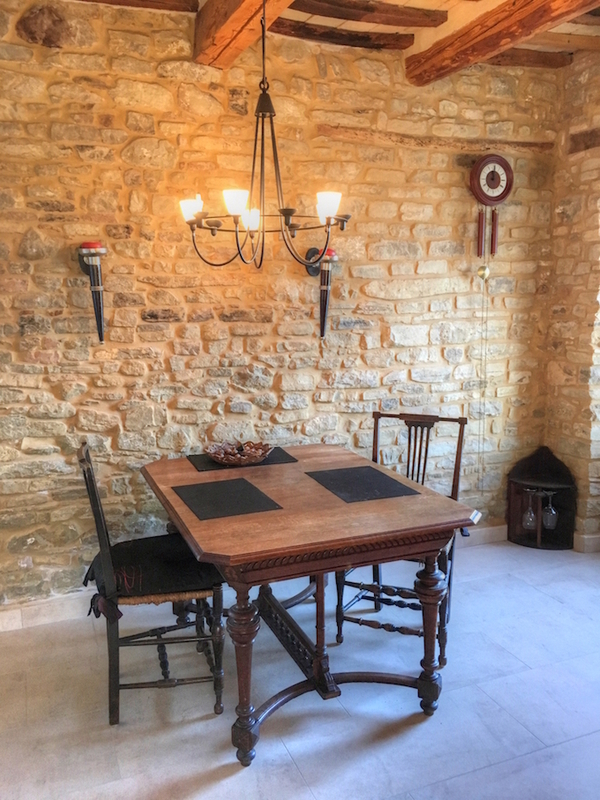 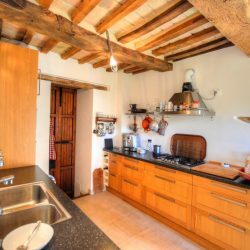 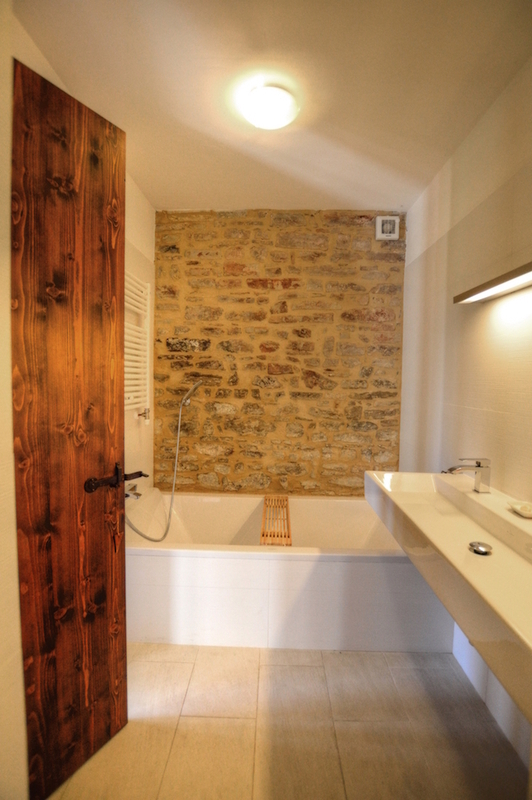 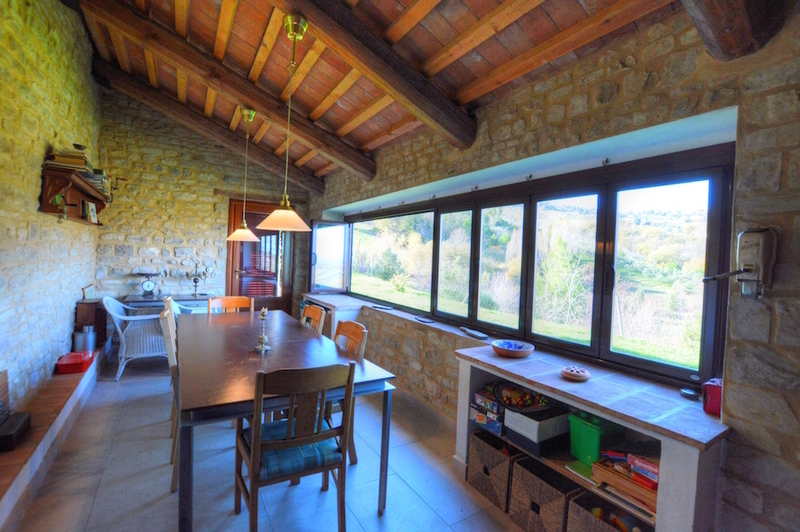 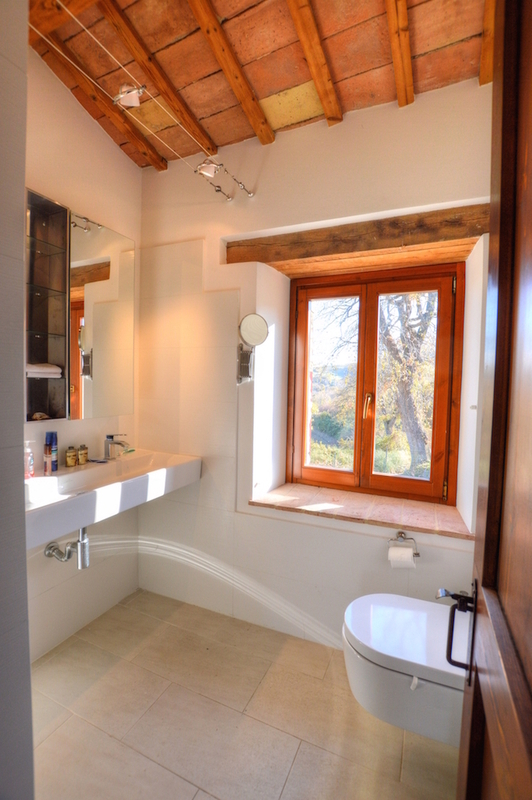 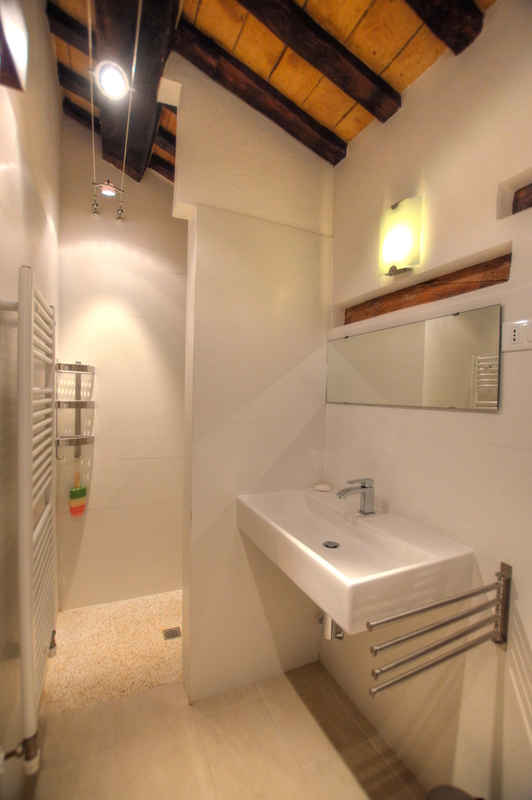 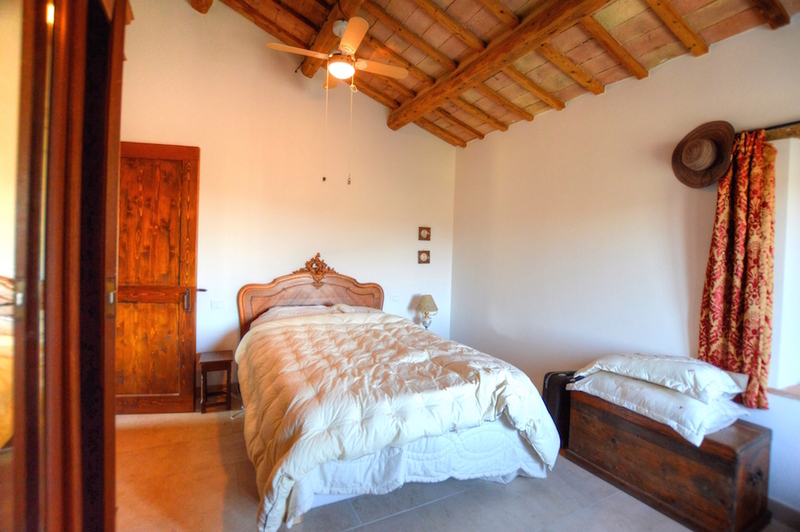 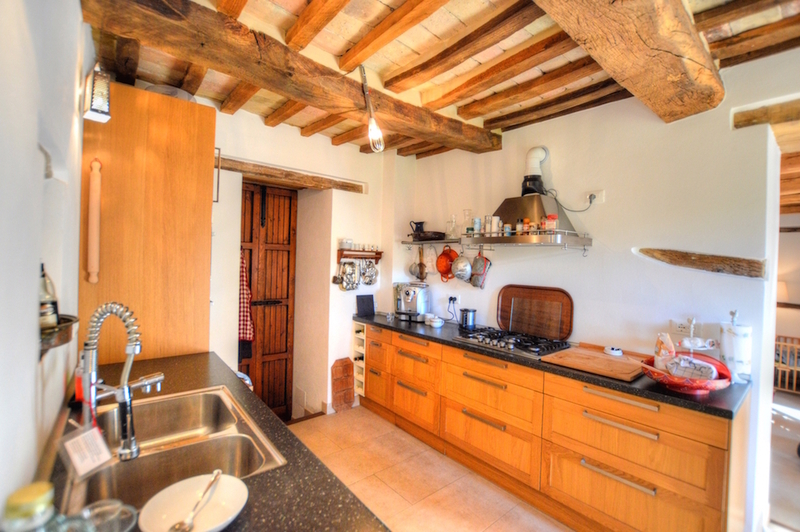 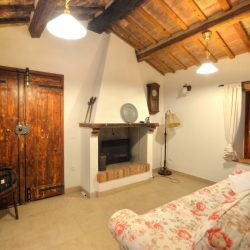 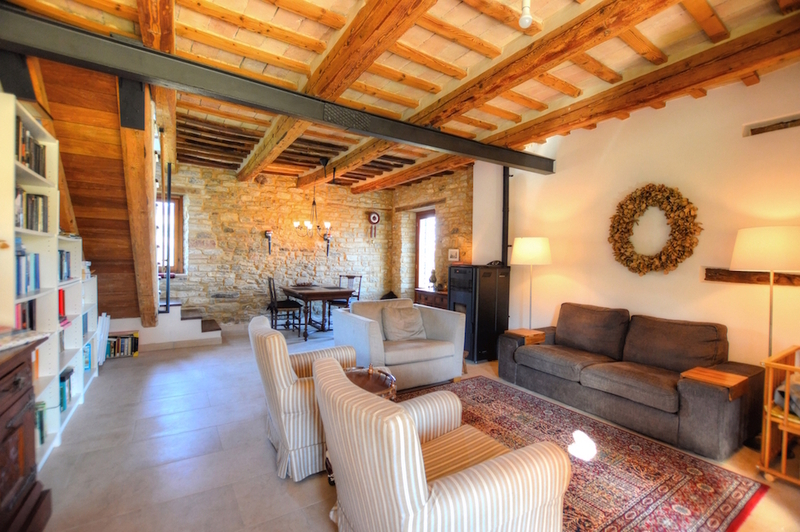 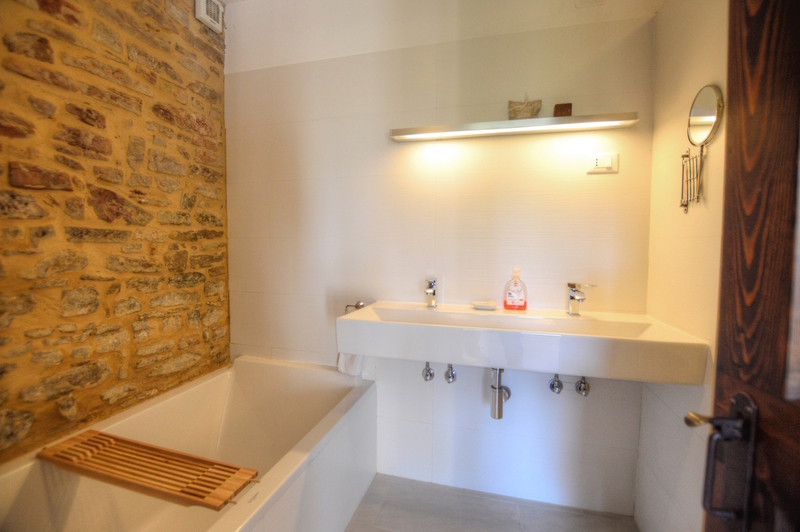 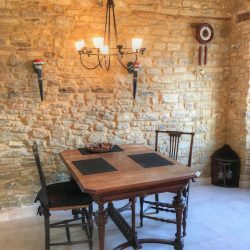 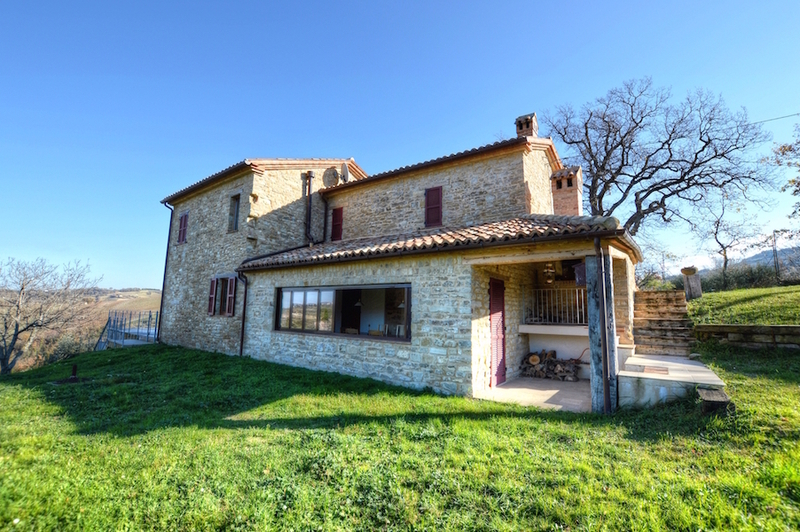 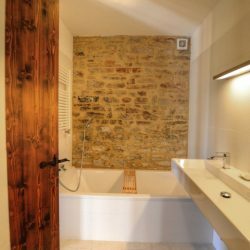 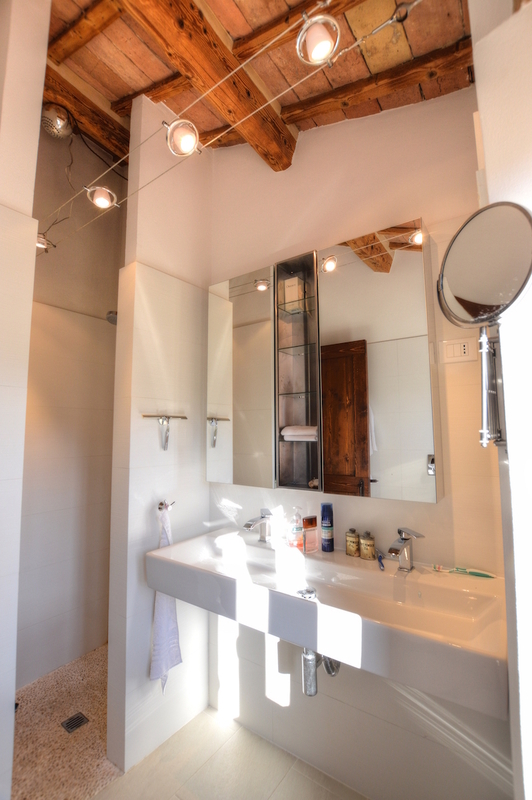 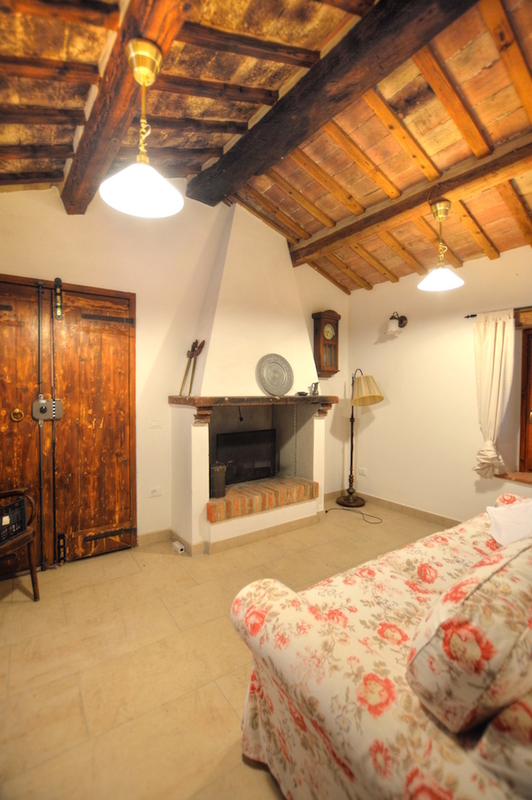 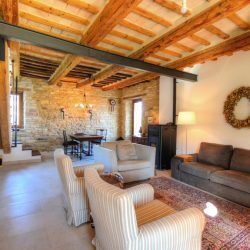 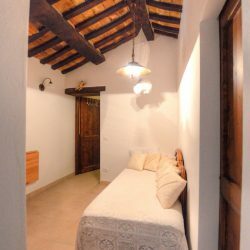 The property comprises a beautiful restored 2 storey farmhouse of 235 sqm with an independent apartment. 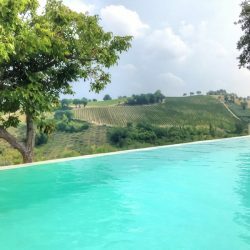 It is surrounded by 1,500 sqm of well maintained mature garden and a fantastic infinity pool with magnificent panoramic views. 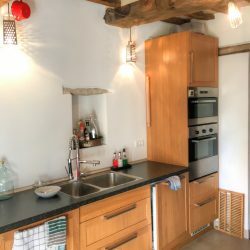 First floor: 2 spacious bedrooms each with en-suite bathrooms and lovely countryside views plus an independent apartment (also accessible via external staircase) with living room with fireplace, bedroom and bathroom with shower. 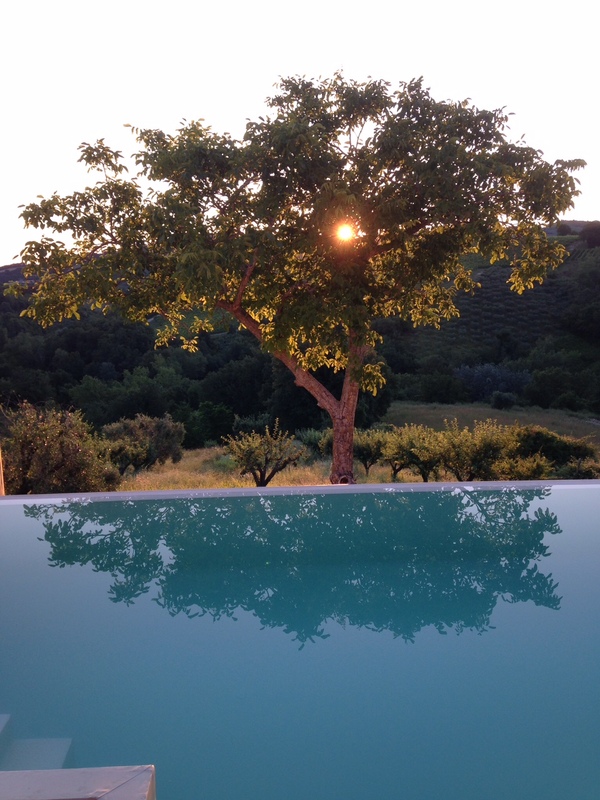 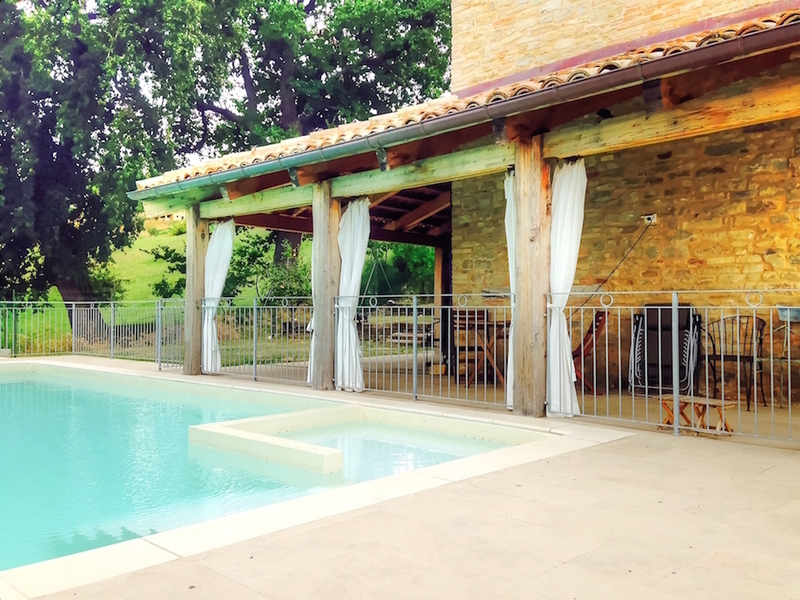 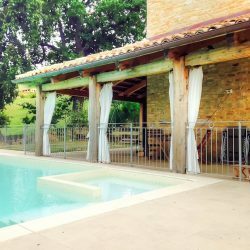 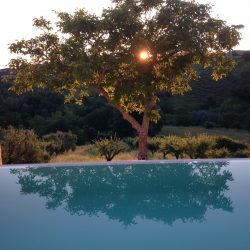 1,500 sqm mature garden with olive trees and fruit trees and a wonderful infinity pool (5x10m) with Roman steps and a shallow tub for children. 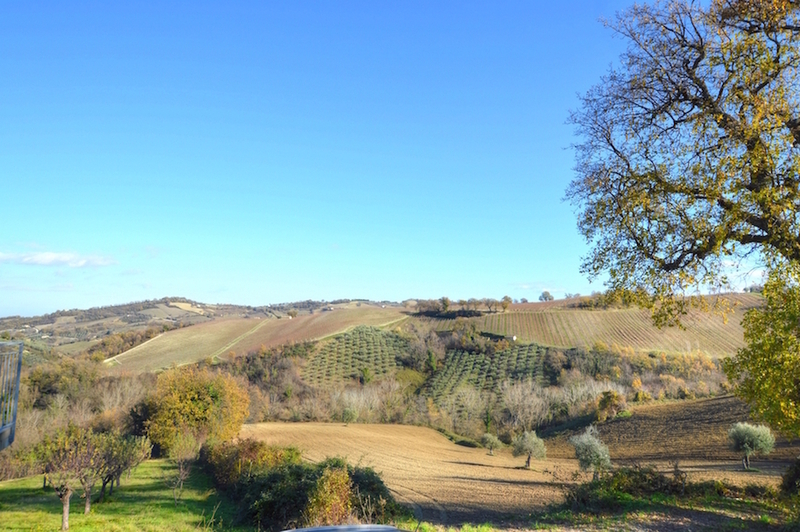 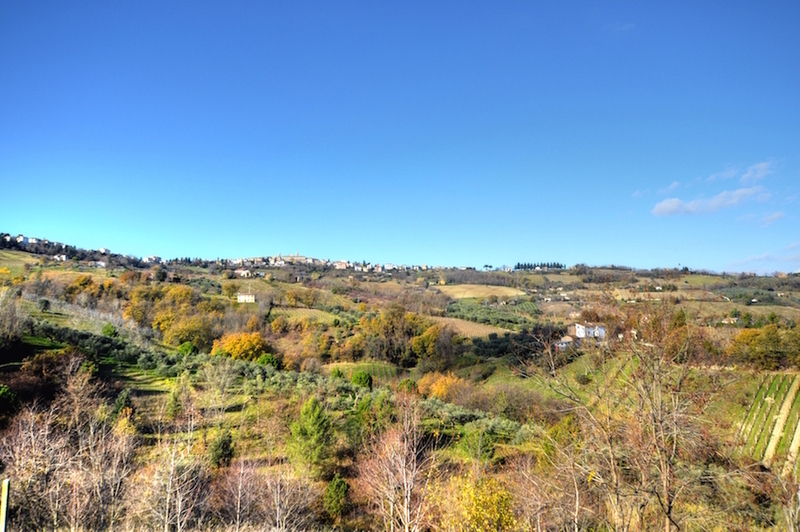 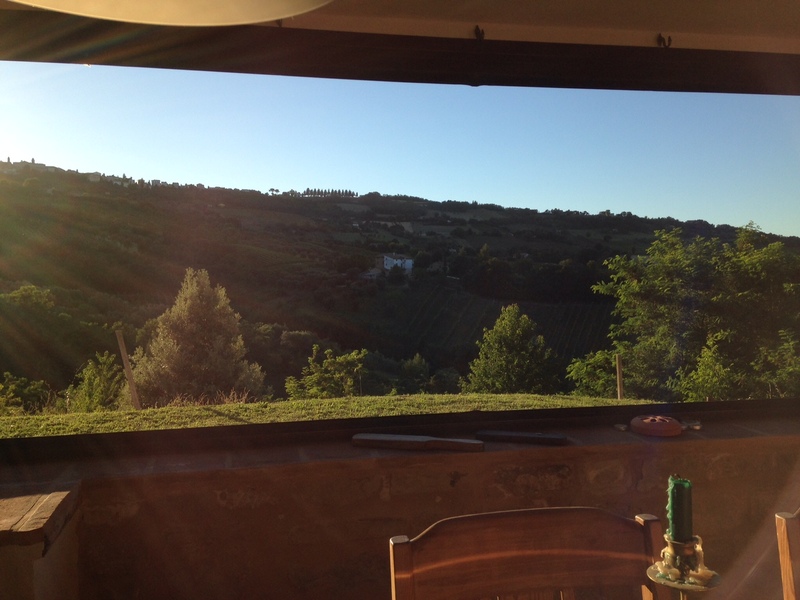 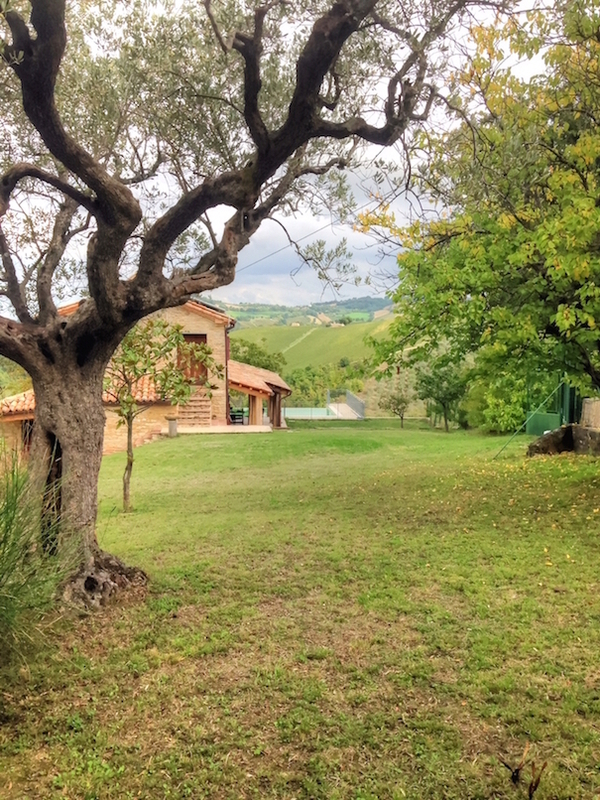 From all parts of the garden there are beautiful views of the hills of Verdicchio. 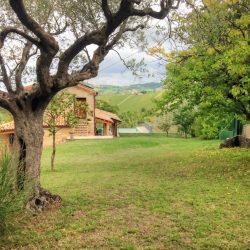 First town with services 1.7km, Cingoli 18km, Gola della Rossa Natural Park 25km, A14 Motorway 30km, Airport of Ancona-Falconara 32km, Fabriano 35km, Beach 36km, Ancona 48km, Conero Natural Park 62km.